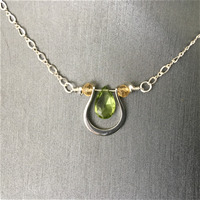 Free shipping for orders over $250 placed at the show. 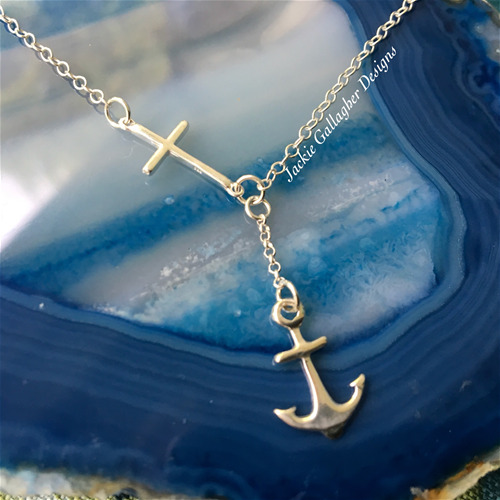 Jackie Gallagher Designs is a Maryland based company where Jacke manufactures and designs all of her pieces. 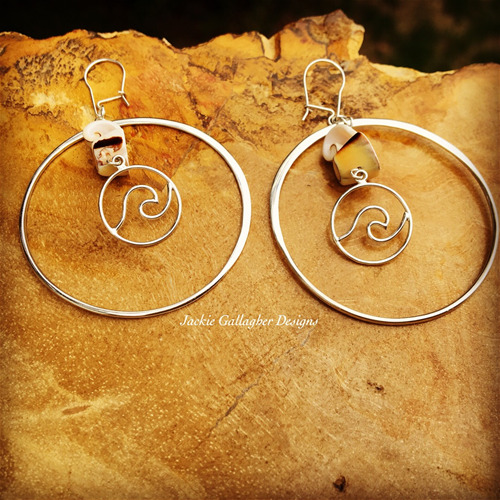 Jackie will be releasing some new pieces at this show, be sure to stop by Booth 1870 to see the new pieces. 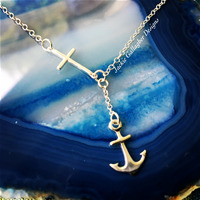 See one of our newest pieces "Anchored in Faith" in booth 1870, sterling silver, 18" length. 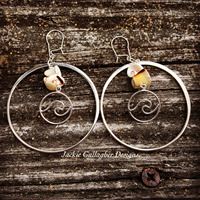 See our new Large Sterling Silver Wave hoops with Hawaiian Puka Shells. See our new Not All Who Wander Are Lost earrings in booth 1870. 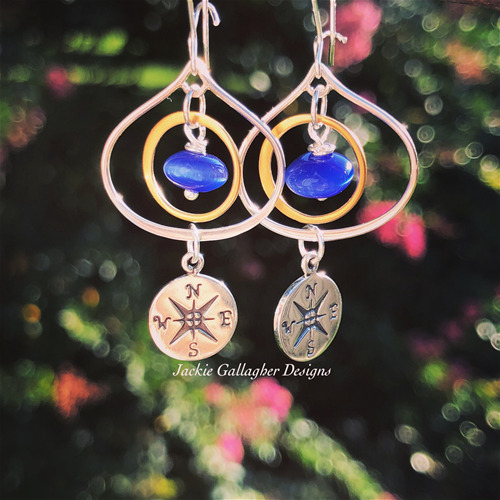 We have added some 14kt gold to our line this year and are using a blue fiber optic bead in this earring. 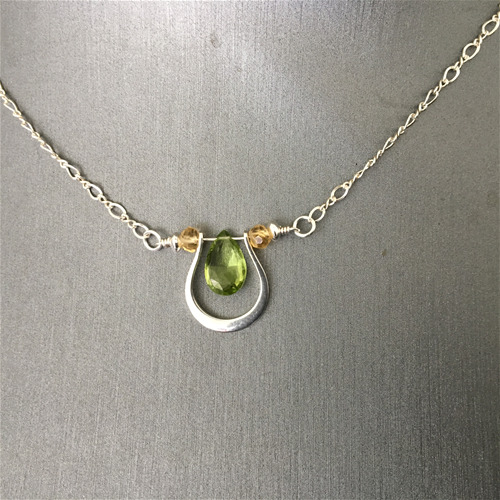 See our Gemstone Horseshoe necklace in booth 1870, this necklace is paired with Peridot and Citrine, other gemstones are available and will be on display in our booth. 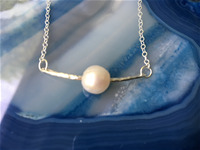 Sterling silver, 18" length, however the chain that we use does allow it to be worn shorter as well. 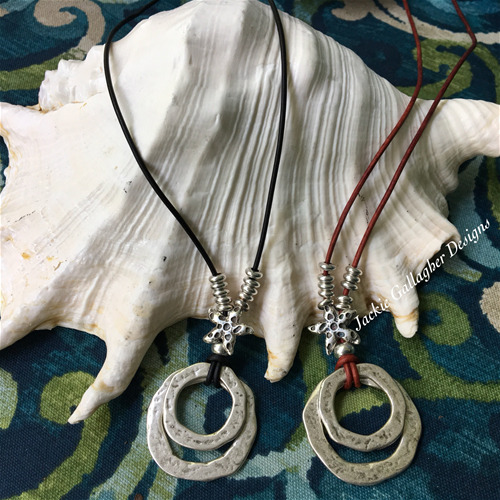 See our Abstract Starfish Ring Necklace in booth 1870, natural leather and pewter, variations available. 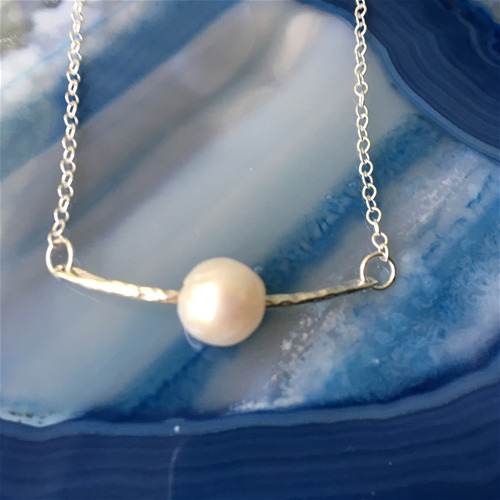 Sterling silver bar has been hammered and a freshwater potato pearl floats on the bar, 18" sterling silver chain. 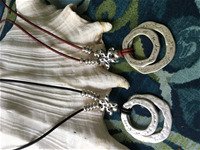 Matching earings available. See us in booth 1870.